Some, not all, do indeed come in two sides, and which one you use depends on the reason you use it. One of the sides strongly reflects heat. A hypothermic person therefore wants to have that reflective side on the inside so that it helps keeping any warmth inside. A person suffering from heat stroke wants the reflective side outside so that heat is kept away from that person. Note that the latter doesn't work too well, because warmth is also trapped by putting the person into the blanket in the first place. But you can use it, for example, to keep the inside of your tent colder than if you had it in the blazing sun without that reflector, similar to what people put in their windscreens in parked cars. Which side is which might depend on the manufacturer and I'd suggest reading the instructions. In one example I could find, the gold side was the heat-providing side. Your body heat is reflected back at you from the shiny silver side. One of the reasons some blankets have two colors is so people would realize there was a correct side to get the most benefit. The other is that the "wrong side" color choice can be an aid in some signaling situations. Even when they are silver on both sides, there is often one side shinier than the other. You should always have the shiniest surface facing inward. Think, reflecting body heat. There are some potentially dangerous answers here. 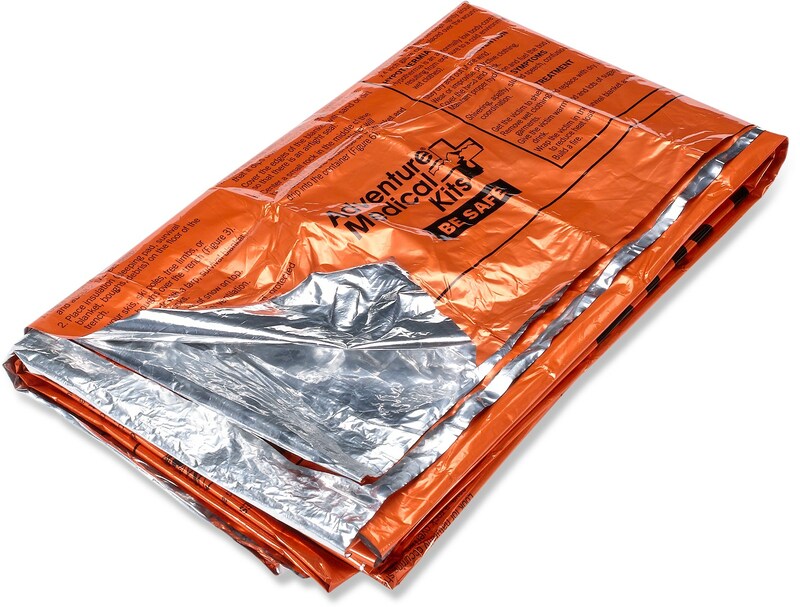 The two colour blankets are used as follows: Protection against cold - silver side to the body. Protection against heat - Gold side to the body. Seal end with tape. Not the answer you're looking for? Browse other questions tagged emergencies temperature or ask your own question. What qualities to look for in a good emergency whistle? What information to leave with your emergency contact?